The branches may be lovely, but are they real or artificial? Each holiday season, the first consideration for many people is whether to buy a real or an artificial Christmas tree. While real Christmas trees are growing, they absorb carbon dioxide and other gases and emit fresh oxygen. Real Christmas trees are renewable. They are grown on farms just like any other crop. To ensure a constant supply, real Christmas tree growers plant one to three new seedlings for every tree they harvest. Real Christmas trees are biodegradable, which means they can be easily recycled for mulch and other purposes. Buying a real Christmas tree supports our economy too. Real Christmas trees are grown in all 50 states and Canada and the industry employs over 100,000 people full or part-time. 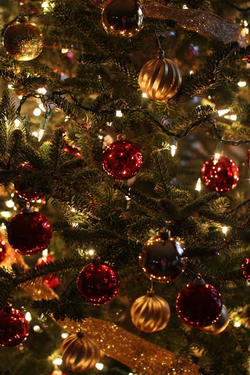 Eighty percent of artificial trees are manufactured in China. Selecting a real Christmas tree from a local Christmas tree farm can be a fun family outing. Tell your kids how tall the tree needs to be, then give them free reign on the selection. Choosing a Christmas tree can be almost as fun as decorating one!